One more Thanksgiving project, as today will be our celebration. Hubby made it safely home from Holland early this morning and my older boys made it in last night at 8:00 p.m. after moving snow for 17 hours. I’m so thankful to have my guys home safe and sound! 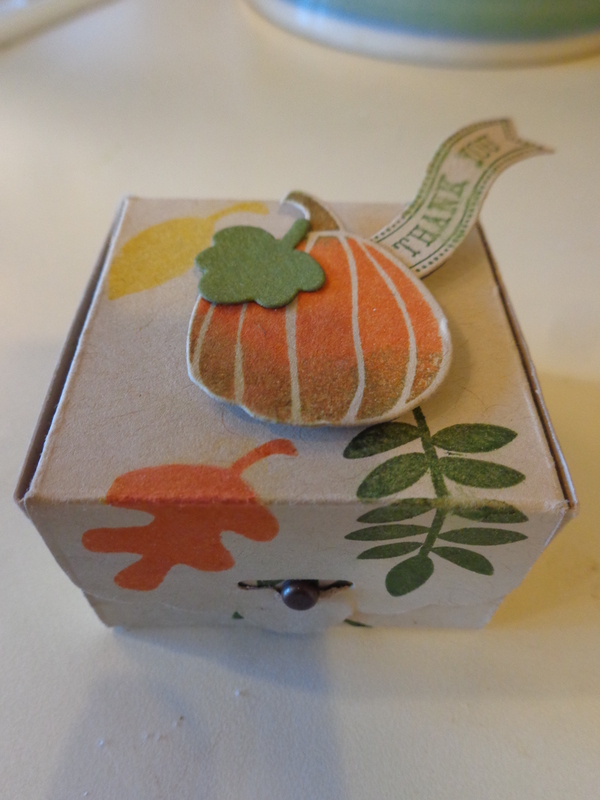 This cute little tealight candle box was made by my super talented downline, Beth Mills and I found the directions for it on “Stamping with Simone” in Victoria, Australia. The cardstock is cut at 4 1/2″ x 7 3/4″. Score the short side at 1 1/4″ and 3 1/4″. Score the long side at 1 1/4″, 3 1/4″, 4 1/2″ and 6 1/2″. Punch the three sides on the left end of the long side with the Scalloped Tag Topper Punch. Cut out the two little squares on the left edge. Decorate the box and then fold all the edges and glue the sides of the box. Fill with a small tealight candle and use a brad as a little “doorknob” to close the box. Sooo cute! Thank you Beth! Good morning and Happy white Thanksgiving!!! I’ve read that we shouldn’t talk about ourselves in our stamping blogs, but I’m going to depart from that advice as we each ponder what we are thankful for today. I just measured twelve inches of pretty new snow out our back door and it’s still coming down. My two older boys left at 3:00 a.m. to plow and I’m so grateful that we live in a small town where it’s safe to send them off in the middle of the night! They will be gone all day, as well as the two loyal crew members that snowblow for Jonathan’s business, Stan and Chris. They will miss their Thanksgivings so that others can enjoy theirs. EXTREMELY grateful to them and to all who are out working today. Also very, very grateful to the Pearsons, the Wilders and the Widins, who invited Joseph and I to share their Thanksgivings with them. It warms my heart to have such thoughtful friends. Hubby is making his way home from our nephew’s funeral in Holland and we’ll have our Thanksgiving dinner tomorrow. Our nephew worked for the Organization for the Prohibition of Chemical Weapons over at The Hague and yesterday his colleagues had a beautiful commemoration service for him. You can watch it on my Face Book page if you’d like to share in giving tribute to an amazing young man who traveled the globe working tirelessly for the safety of us all. He was just 39 years old and passed from colon cancer. 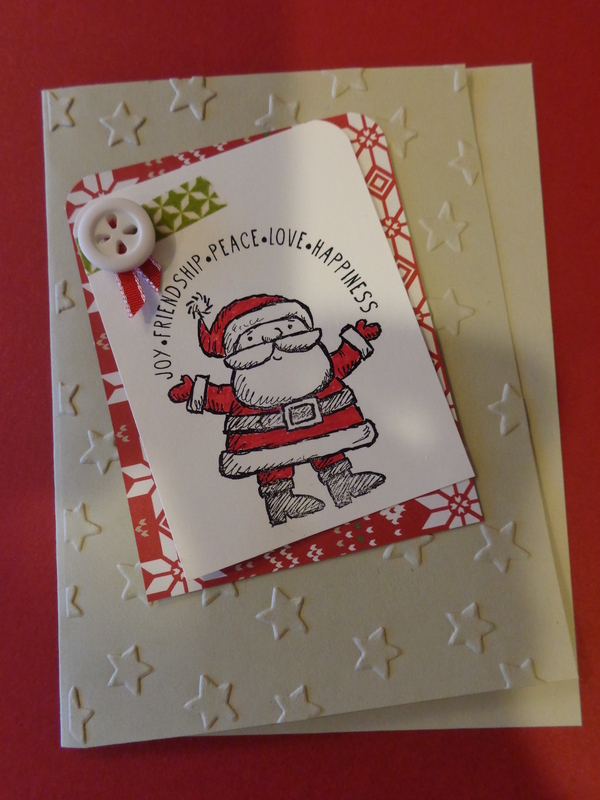 This is the card that I sent to the Stamping Peace Leaders. I’m so grateful for them and to all my stamping friends who allow me to enjoy such a fun hobby in my retirement. It is said that for our health and fulfillment we should have three social groups that we are part of. 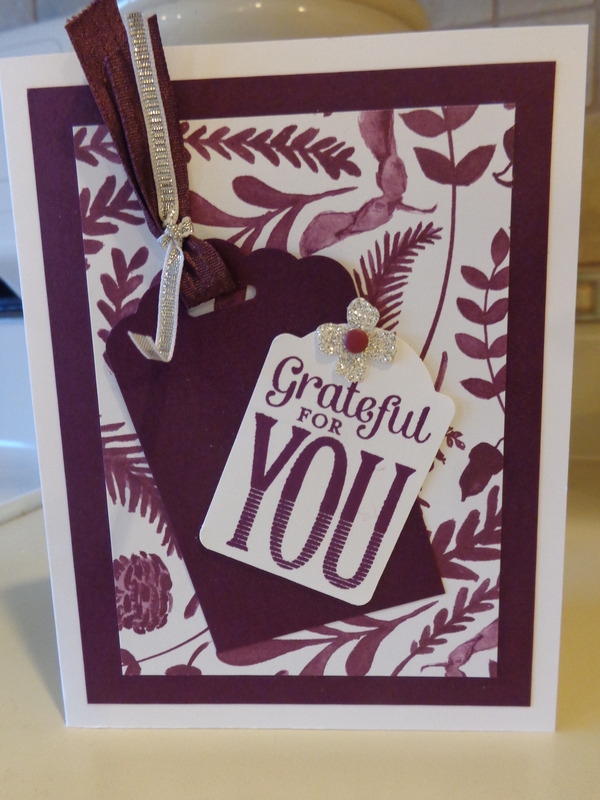 You, my blogging friends, are part of one of my social groups and I thank you for all the support that you give me as I go about learning the art of stamping. Thank you so much for sharing a couple minutes of your days with me. I am truly grateful for you. Although Thanksgiving comes tomorrow, it’s beginning to feel like Christmas as we expect 8-12″ of snow later today! : ) I tried to recreate this card from a picture in the Stampin’ Up! Holiday Catalog as a birthday card for one of our little nephews whose birthday falls on the Feast of St. Nicholas (Dec. 6th). Saint Nicholas was a Bishop, and there are St. Nicholas’ stamps out there with St. Nick wearing his Bishops hat. I’ve seen them at http://www.stnicholascenter.org. This little Santa, though, comes juggling the spirit of Christmas…so cute! The white cardstock is 2 1/2″ x 3 1/4″ inches and the red designer series paper is 2 3/4″ x 3 1/2″. (I colored Santa’s suit Real Red before getting out the Designer Series Paper, which is Cherry Cobbler…although it looks Real Red in the catalog! And I just noticed in the catalog picture that there are little green stars between the words, the stars being from the Confetti Stars Punch…I’ll have to add some of those little itty betty’s!) The Lucky Stars embossing folder was used on the 5 1/2″ x 8 1/2″ Sahara Sand base. So, what will you be doing during the snowstorm? We’ll be stamping and watching our Colonial House DVD’s (a show shot in Maine in 2003 where a group of people from all over the U.S. and England lived for four months on 1,000 acres of land and recreated a 1628 colonial village, complete with period clothing, food, tools, etc.) It’s great Thanksgiving entertainment! Read all about it or purchase it at pbs.org The other Thanksgiving movies that we’ve watched this past week are “Desperate Crossing” (a great documentary that we got at Plimoth Plantation in Massachusetts one year…it’s still available on their website) and “An Old Fashioned Thanksgiving” with Jacqueline Bissett. All three movies are part of our Thanksgiving traditions! That describes our nephew who passed last week from colon cancer. Cancer…such a wake-up call that robs laughter. I’ve been reading and reading about cancer and I’ve learned to question whatever is going from my hand to my mouth…is this going to give nutrition to my body? Even harder, on the spiritual side, is to question what is coming OUT of my mouth! So I’ll be quiet and tell you about this striking card, inspired by Lynn Kolcun. I learned the technique from a Dawn Olchefske YouTube video. I forgot to take the measurements before the card left for the funeral with my hubby yesterday, but I stamped the sentiment and then cut the cardstock around it. The next two vanilla layers go up one inch in the measurements. The mats go up 1/4″. You can read the instructions on how to make the card on yesterday’s blog post. Just click “home” and you can scroll down to yesterday’s post (and a similar, but slightly easier card). The “Triple Time” stamping technique is a lot of fun! 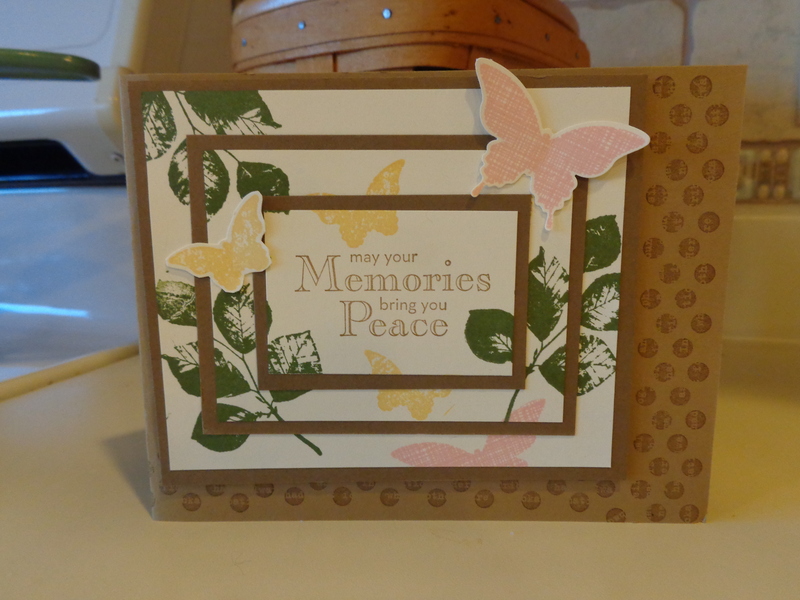 There are a couple of sympathy cards in my portfolio that I usually make, but last week I saw one that Lynn Kolcun made and it inspired me to try “Triple Time Stamping.” I found a video about the technique on Dawn Olchefske’s You Tube Station. It’s a lot of fun, and very easy! The three Very Vanilla pieces of cardstock are 2″ x 3 1/4″, 3″ x 4 1/4″ and 4″ x 5 1/4″. The two Soft Suede pieces of cardstock are 2 1/4″ x 3 1/2″ and 3 1/4″ x 4 1/2″. 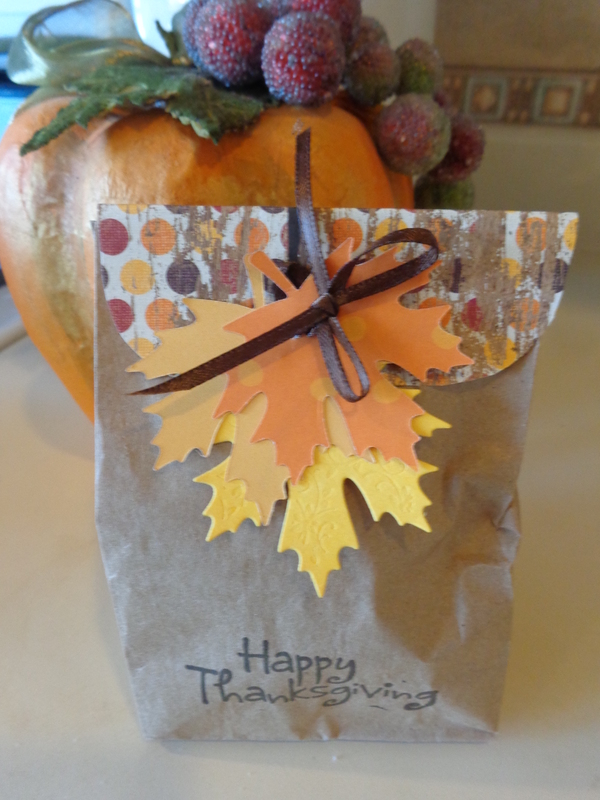 The Brown Sugar base is 5 1/2″ x 8 1/2″. I scotch taped each very vanilla piece together by rolling up a piece of tape and pressing it all over with my fingerprints so that it wasn’t very sticky (so it can be easily removed after stamping.) After stamping the images, adhere each piece to it’s mat. I was a little off with the Blushing Bride Butterfly on the bottom…it should have been lower…but for my first try, I was happy! It will be on it’s way to Holland when my hubby flies out later today. He’ll be gone for Thanksgiving, so I’m starting to think of some creative new Thanksgiving traditions for the boys and me! What are some of your Thanksgiving traditions? You, my friends, help fill up that hole left by our nephew’s passing yesterday. Thank you for your kind comments, e-mails, visits and phone calls. You are such a blessing to me. 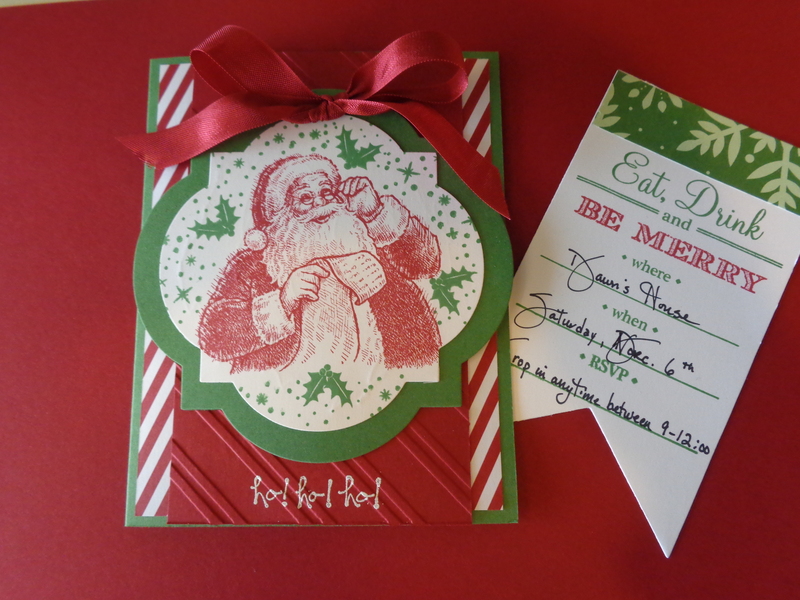 This invitation was made with last years stamp set called “Santa’s List”. He’s surrounded by holly from this year’s Holiday Invitation stamp set and the image is cut out from and matted on a border from the Window Frame Framelits. The banner insert for the inside of the card was also made with the Holiday Invitation stamp set and was cut out with the Banner Framelits. The ho! ho! ho! 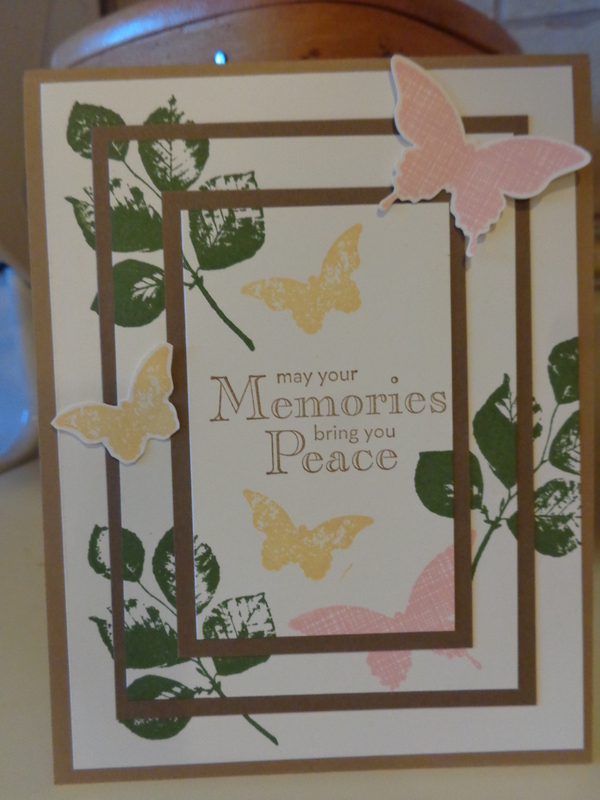 was heat embossed with white embossing powder and is from the new “Good Greetings” stamp set. That stamp set will be one of our door prizes at the Open House. Stamping Friends are THE BEST!!! I feel like my stamping friends (and all my friends) are shining stars! This afternoon we received the news that our nephew passed from colon cancer and an hour later, while I was at the market, this little goody bag showed up on my doorstep. Such gladness all mixed in with sadness. Thank you my friend Patti, for adding joy to this day!! !